Our next adventure takes us to virgin territory. It’s a big year for us because we are participating in two rallies that have long been on our wish list. 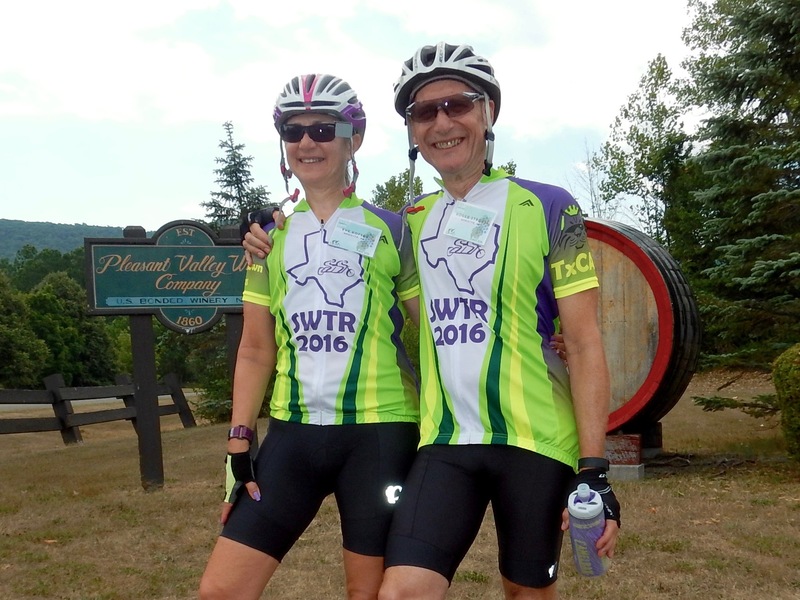 In April we rode in Georgetown, Texas at our first SWTR and this weekend we are making new friends and enjoying the ETR. Much like the Midwest and the Northwest rallies, this event rotates through the region with different couples hosting it each year. 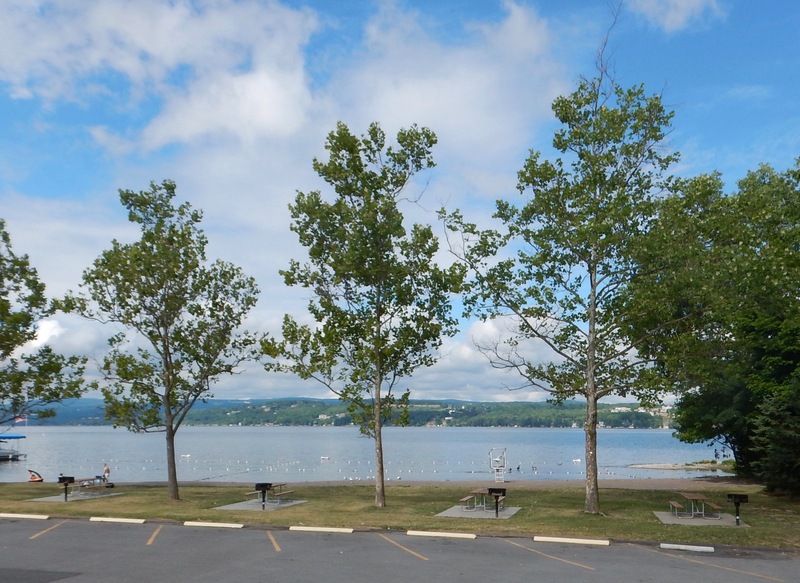 We’ve come to Geneva, a small town (evidently with no sign painting budget) on the north end of Seneca Lake, the largest and deepest of the Finger Lakes (an astounding 600 feet). We are here for 4 days of riding around the lakes region. Our gracious hosts, Caren and Mike Bianco, have organized a weekend of fun for us and about 175 other tandem teams from all over the country. The rally is really 3 days of riding, but we are here early enough to do a 30-mile spin on Thursday. 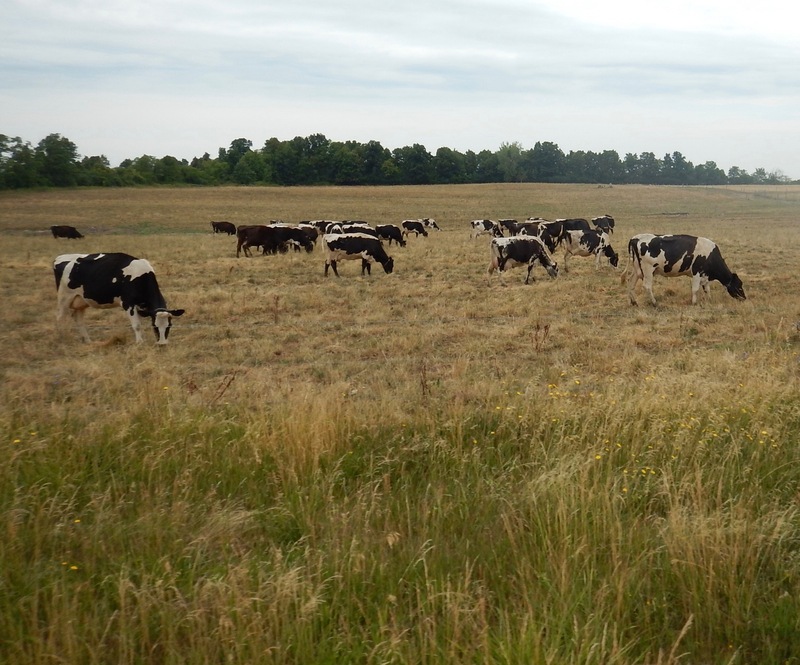 There isn’t a group start, so we are excited to hook up with three other bikes for a scenic rolling ride through dairy farms and fertile farm land. Friday is the official start of the rally, but there is no traditional group start. 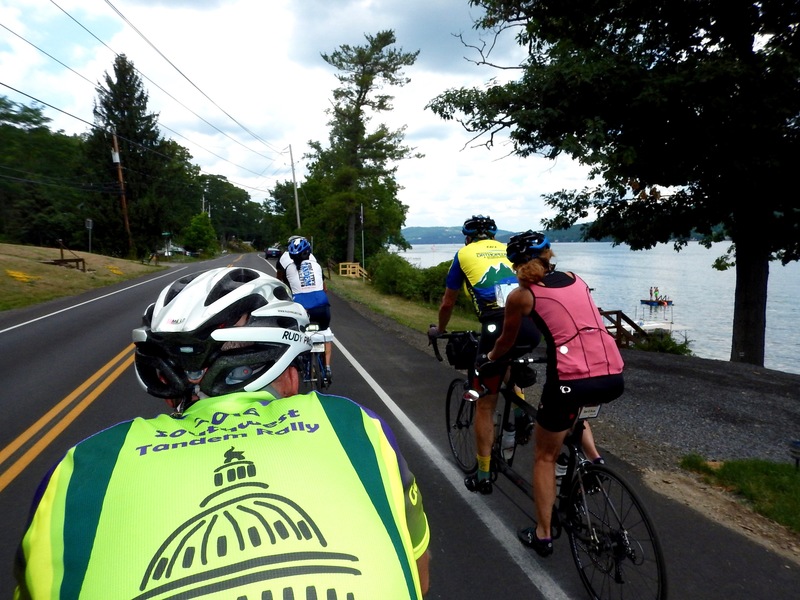 Our mission today is to ride around a crooked lake, Keuka Lake is in the shape of a “Y”. 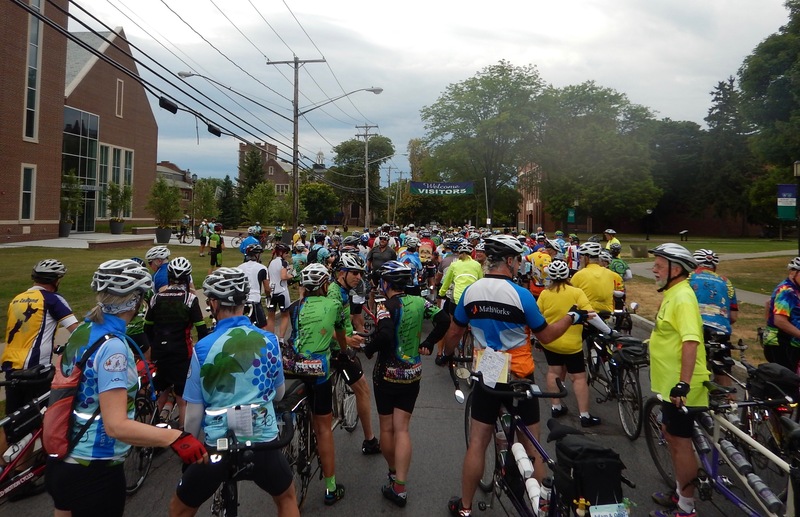 There are a few different starting points so we are split and it’s hard to get a feel for the size of the group. 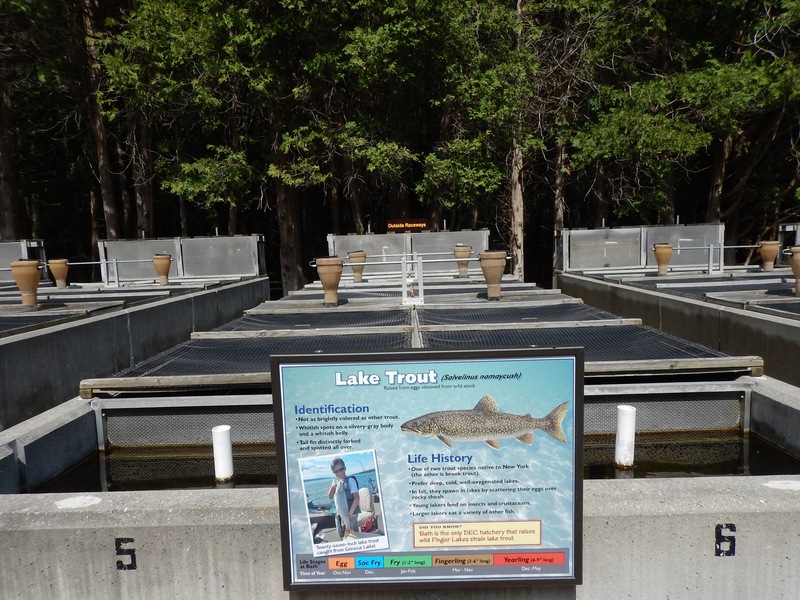 We take a detour off the route to visit a New York State fish hatchery. 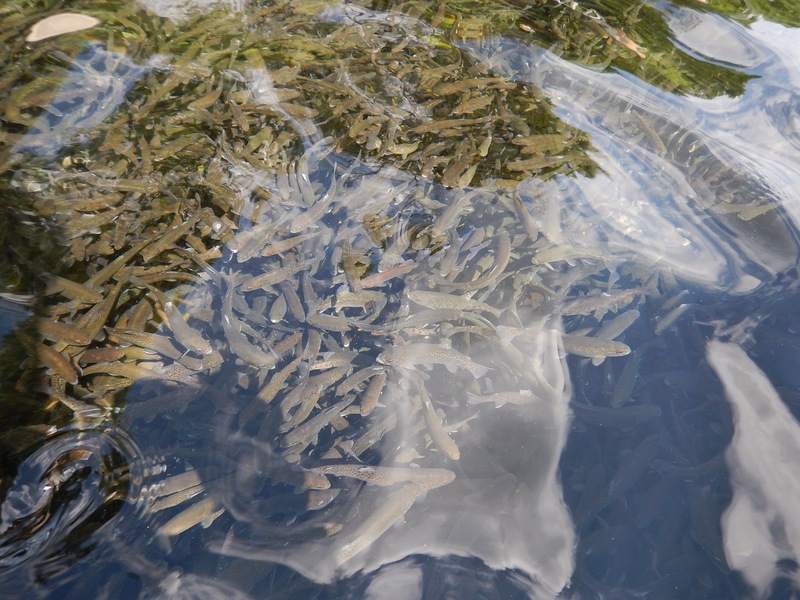 It’s incredible and it makes me want to have some rainbow trout for dinner, a wish that will go unfulfilled on this part of the trip! 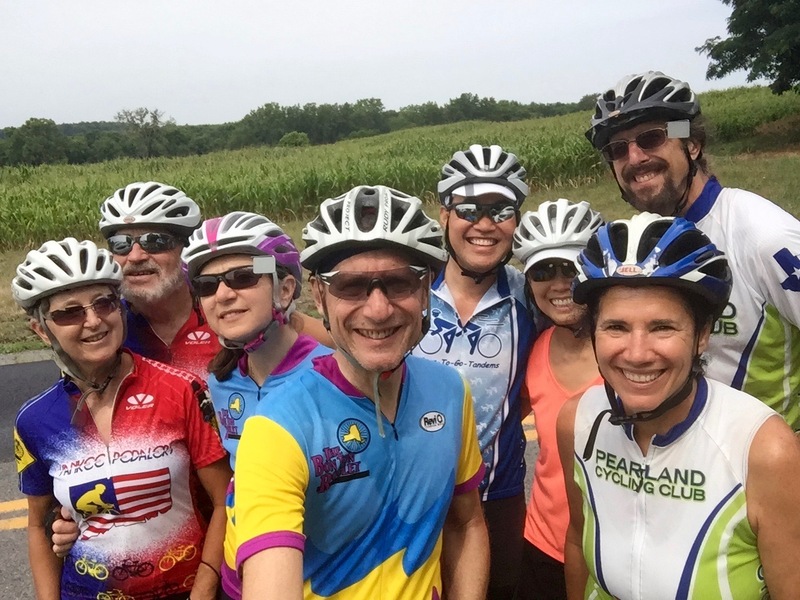 A few miles later, there is a rest stop at the Pleasant Valley Winery. 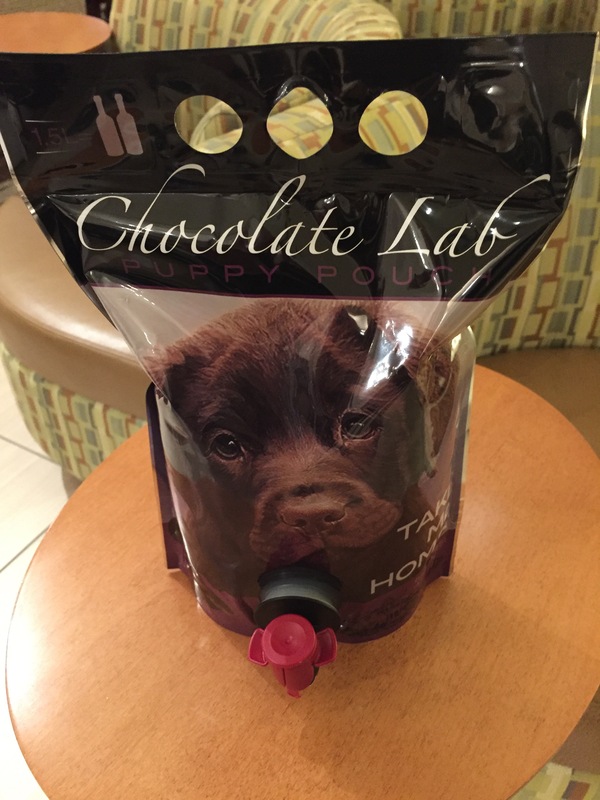 The puppy is so adorable that we have to purchase some Chocolate Lab wine (which has a slight chocolatey taste and is delicious). The highlight of the snack table is a home baked brownie filled with dried fruit and chocolate chips and all things yummy – shout out to the baker Maggie Cole! 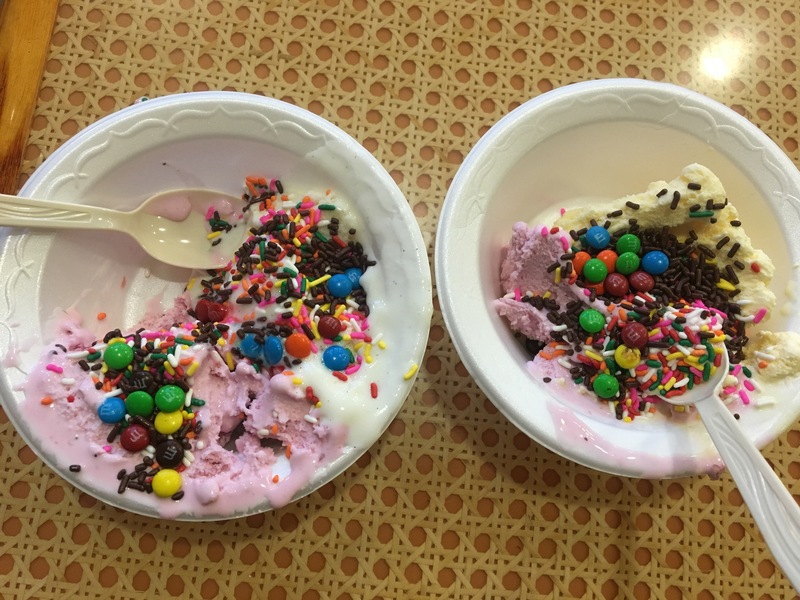 The day ends with a serve yourself ice cream social, a task with great rewards. Our first, and only group start of the weekend is on Saturday morning. 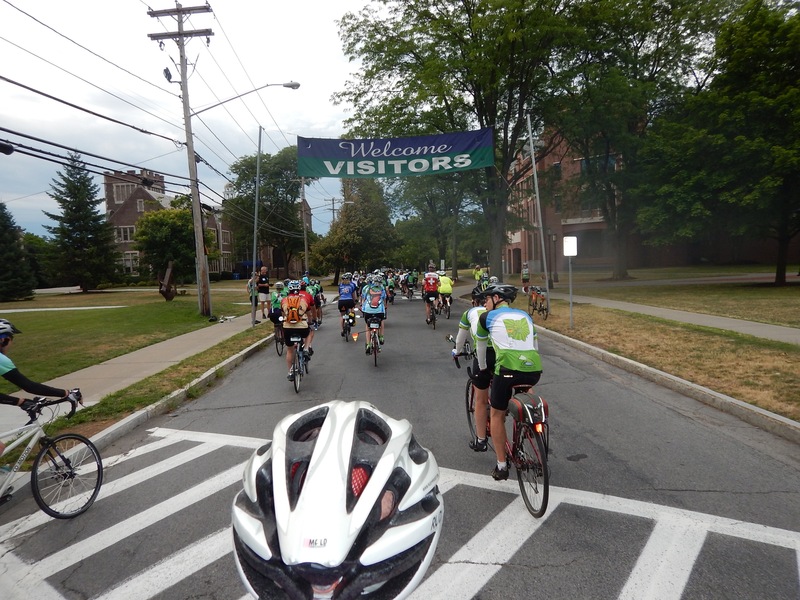 We are scheduled to ride through Seneca Falls, the place where Elizabeth Cady Stanton and Lucretia Mott organized the first women’s conference calling for the right to vote and the start of the women’s rights movement in the United States. 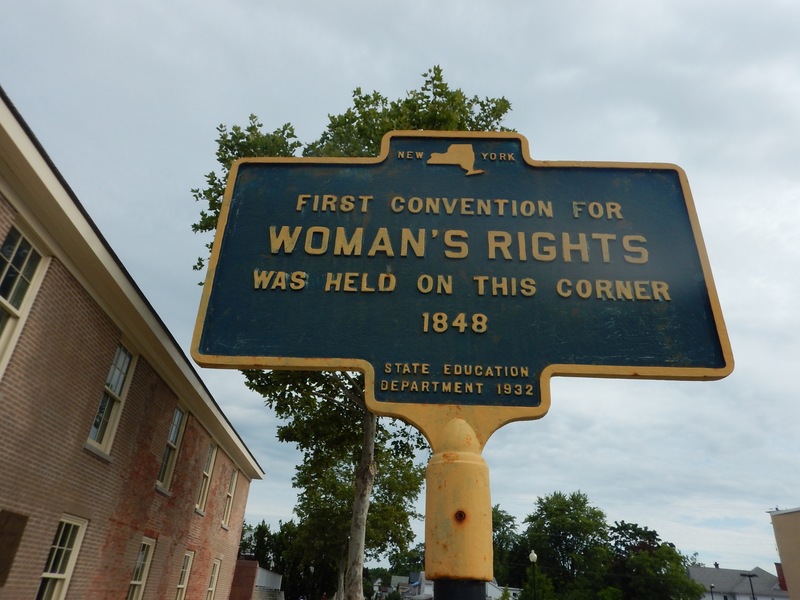 Some say that Seneca Falls is the town that served as the model for the town in “It’s a Wonderful Life”. The bridge we ride over looks exactly like the place where George Bailey hits rock bottom. For me it’s all about being in the birthplace of women’s rights. 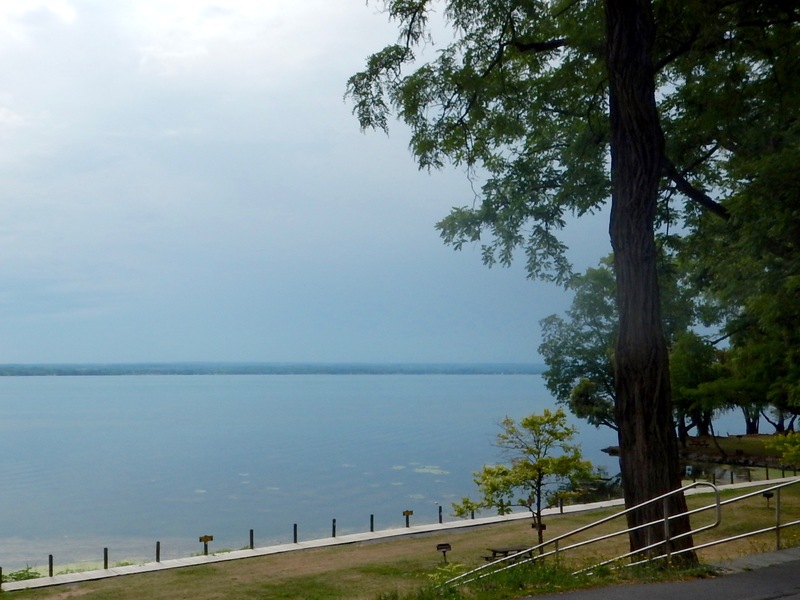 Lake Cayuga is overshadowed by our visit to Seneca Falls . 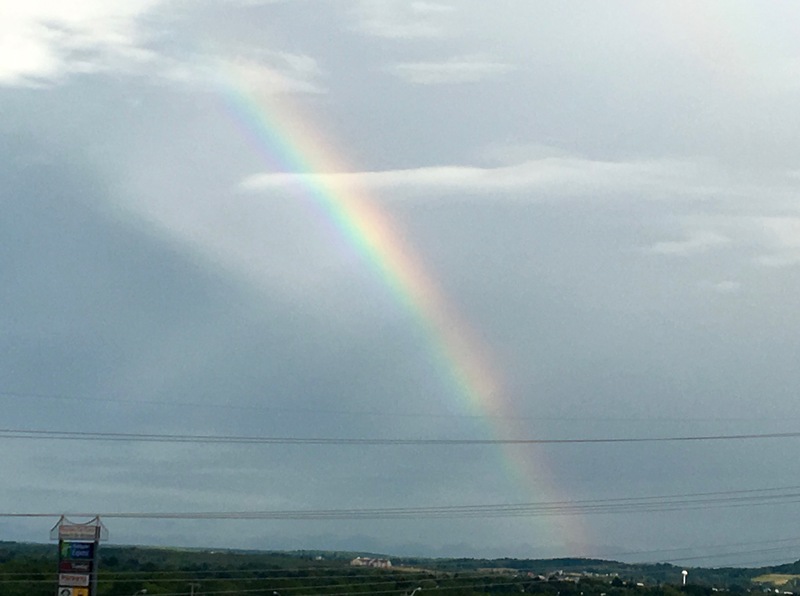 Dark clouds are building in the shadows and rain is threatening, which calls for a good bit of radar checking. 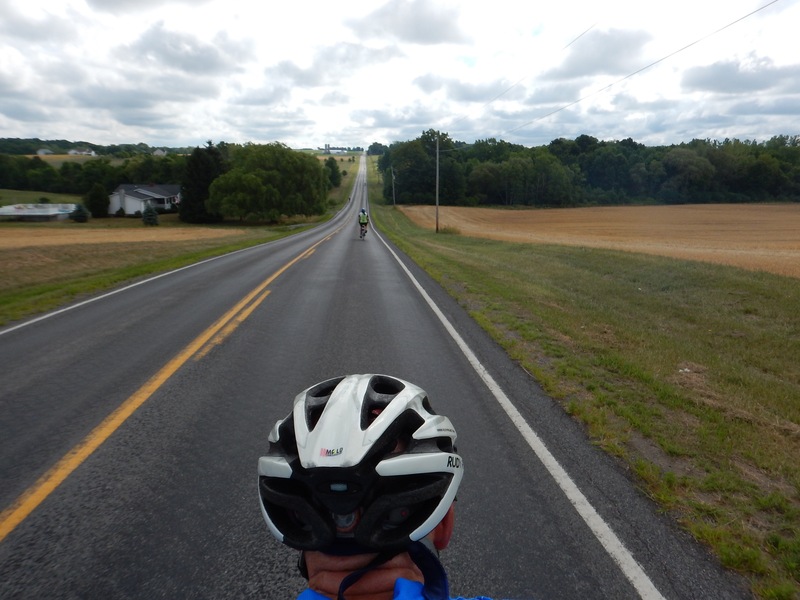 We want to ride the 60-mile option, but we can tell that if we continue going south we will ride directly into the rain. 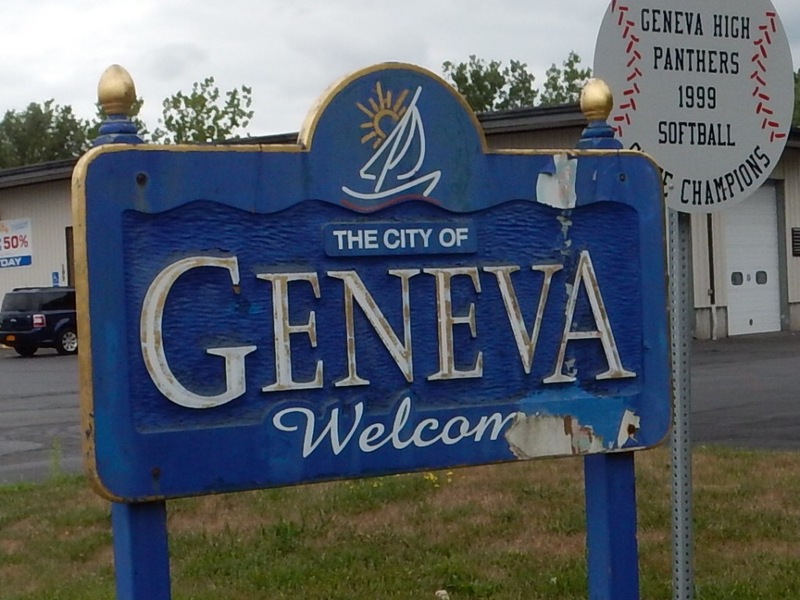 We choose to make a right turn, cut off 20 miles, and head west towards Geneva. 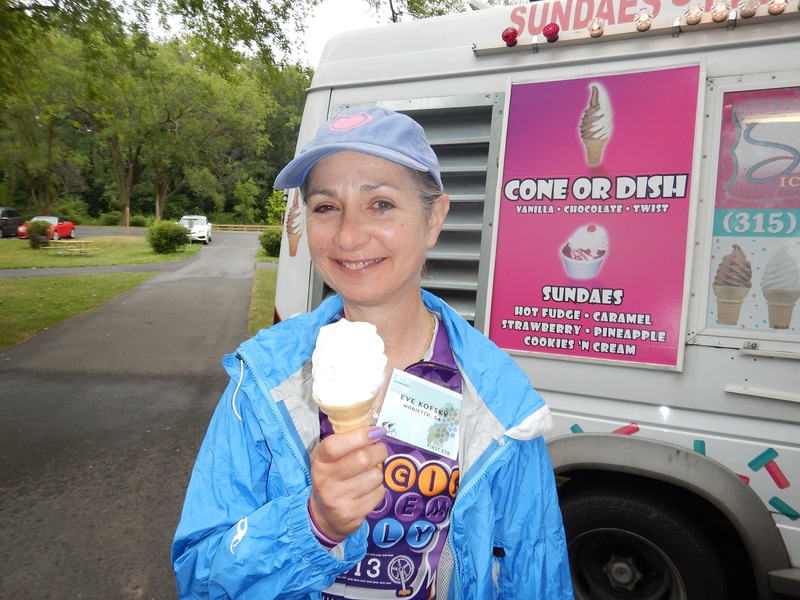 Sometimes 40 miles is just fine, especially when you can stay dry and there is an ice cream truck parked at the lunch spot! 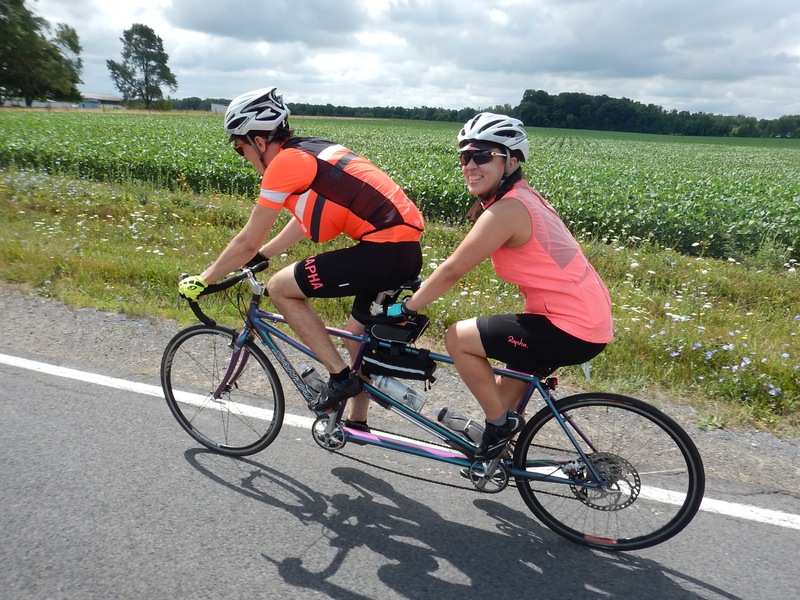 This is what I learned at the Eastern Tandem Rally: these people can throw a party! The dinner venue is a historic dinner club and there is a band and lots of dancing after dinner. Maybe other riders shortened their days too, because they are filled with energy. 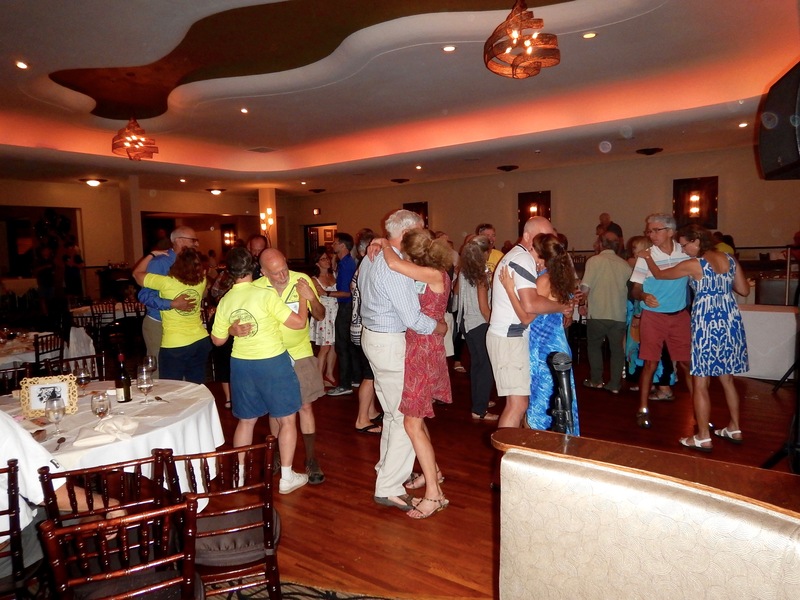 We love seeing people have such a good time. In a somewhat surprising announcement during Saturday’s dinner, our organizers cancel most of their plans for Sunday. 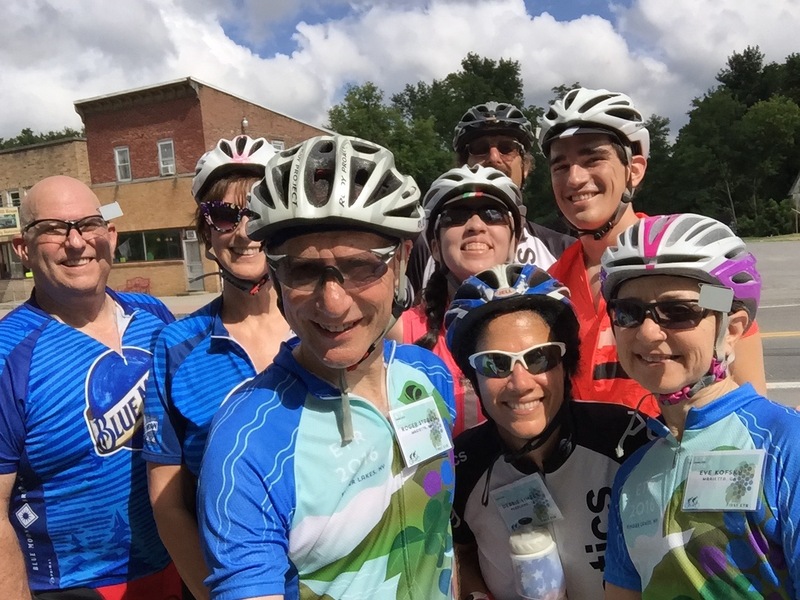 They call off the group start, the group photo in the new ETR jersey, and their rest stop based on a bad hourly forecast for the next 12 hours. 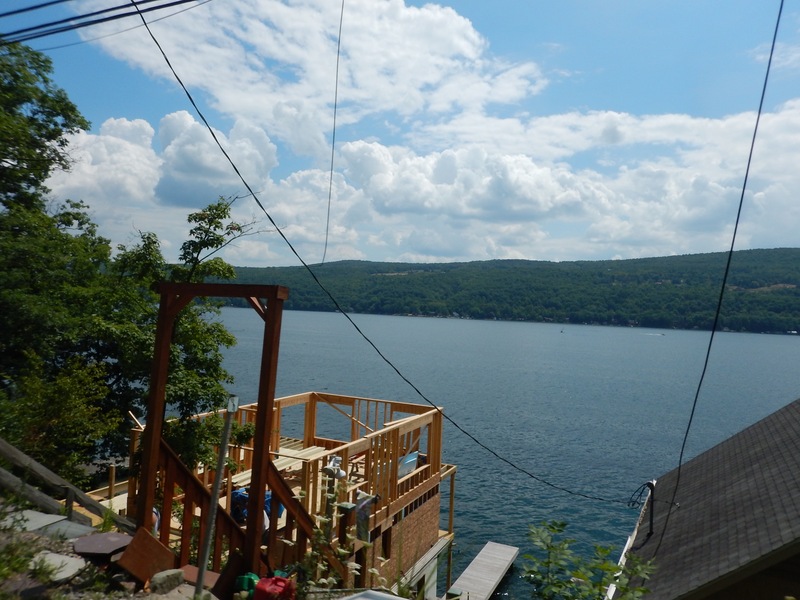 The radar maps actually look pretty good to us amateur forecasters, and we end up having perfect weather for our Sunday ride to Canandaigua Lake. 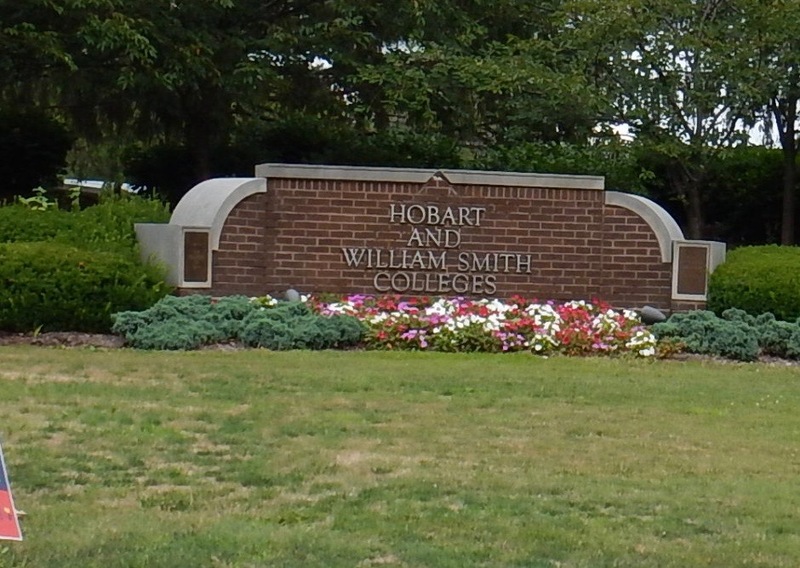 We are quite happy with 165 miles in four days of riding out of the scenic Hobart and William Smith Colleges. As I write we are enroute to Montreal. Tomorrow is an off day, but my next installment of the blog will have a French accent! Au revoir, mes amis.